When Charles Dickens first published A Christmas Carol in 1843, it was instantly beloved. More than a century and a half later, it remains a timeless tale - but most know the story from glitzy, highly marketed movie remakes. Each passing film depicts a more ghoulish, decrepit evil Scrooge, a more perfect Cratchit family, an almost sickening, syrupy Tiny Tim. 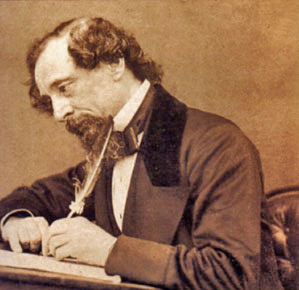 Although Dickens had a tendency to write extreme good/evil contrasts, the above traits are not the core of the original story that takes just an evening to read. The name Scrooge will forever remain vilified even though that's not how the tale culminates. A Christmas Carol takes us through a miraculous account of redemption and transformation; personal, emotional, moral, and philosophical. Ebenezer Scrooge is actually a hero in the making. We enter the story in a frozen frame of Scrooge's current disposition. The goodwill and love was in his heart the entire time, but after reading we see why it became shrouded in darkness and what amazing feats it took to thaw it. He must, must face himself!